4K. ROME - NOVEMBER 02 (TIMELAPSE): Tourists walking near Rome Colosseum in night time on November 02, 2012 in Rome, Italy. hd00:06ROME - NOVEMBER 02: (TIMELAPSE)Tourists walking near Rome Colosseum in night time on November 02, 2012 in Rome, Italy. 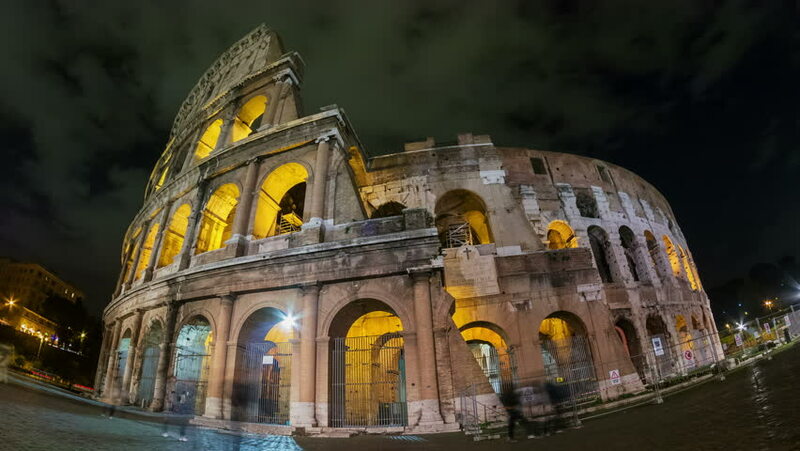 4k00:07The Colosseum or Coliseum timelapse at night, also known as the Flavian Amphitheatre in Rome, Italy video in 4k.